On Thursday, Nov. 23, 2017 at about 1:52 p.m., Corona Police officers responded to a 9-1-1 call in the 1700 block of Rainbow Ridge in the City of Corona involving an assault with a deadly weapon. Responding officers and paramedics found 64-year-old Corona resident Lidia Urrutia unconscious with serious injuries inside the residence. 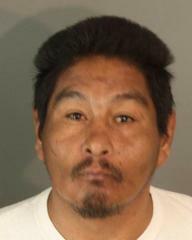 Urrutia’s 45-year-old son, Gilberto Urrutia Perez, a resident of San Bernardino who had been visiting the family that day, was seen leaving the home just before Urrutia was found by other family members. Perez was located at nearby Brentwood Park and arrested without incident. There are no outstanding suspects. As a result of injuries suffered in this incident, Lidia Urrutia was determined to have no brain function on Sunday, Nov. 26. Family members are arranging for the donation of her organs. The Riverside County District Attorney’s Office has filed one count of homicide and one count of elder abuse against Perez. His arraignment is scheduled for Dec. 13, 2017. The investigation is ongoing. If you have any information regarding this incident, please contact Detective Jurado at 951-279-3628 or via email at Jesse.Jurado@CoronaCA.gov. For inquiries relating to the filed criminal case, please contact Riverside County District Attorney Public Information Officer John Hall at 951-955-8662 or via email at JohnHall@RivCoDA.org.